Here you can prepare MDCAT Physics Test. 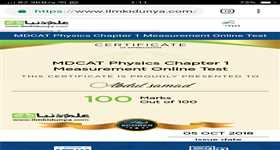 Click the button for MDCAT Physics 100% free full practice test. All the young enthusiastic aspirants who have just completed their intermediate studies and now are passionate to join medical field have to pass Medical College Admission Test (MDCAT). The next big question is how to prepare for the test. So the solution is very simple and easy. 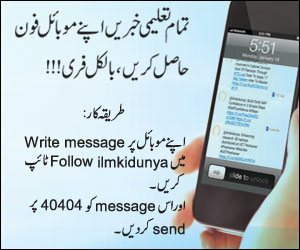 All the students can prepare themselves easily by sitting at home through online preparations at ilmkidunya.com. Here just after pressing Start button the students will get online MCQs test that will prepare them for the MDCAT. Medical College Admission Test (MDCAT) a pre-requisite for getting admission in medical institutes and universities is a multiple choice questions based test with a total of 220 MCQs out of which 44 MCQs will be included from Physics section as per the test structure approved by University of Health Sciences (UHS). Army medical colleges’ admissions are confirmed with the provision of NUMS entry test score. National University of Medical Sciences (NUMS) entry test consists of a total 180 MCQs out of which 45 will be included from Physics area. 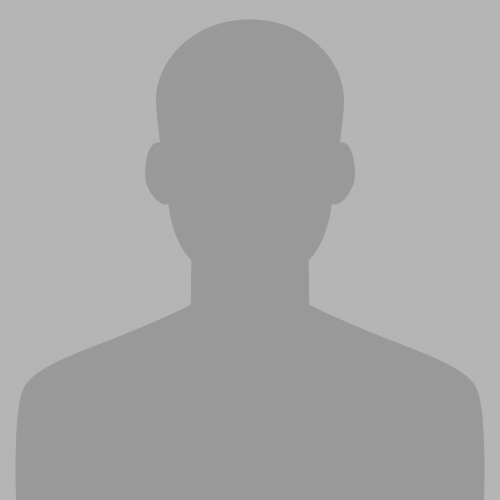 Attempting the test below will give you a real time experience of practicing MDCAT test. It will improve your preparation to get high marks in the test and also will help you in getting admission in your desired medical college. its a good site for entry test preparation............. i just love that app. I just love that app.